Embellish your private area or office with this leather task chair from Boss Office Products. Simply stunning, this marvelous tasking chair mixes flavor with style for the ultimate experience. Its natural Grey Finish adds inner-elegance to indoor settings as well. In addition to satisfaction, it's well-crafted to assure long-term stability, support and firmness. Indeed, it's the perfect home necessity. 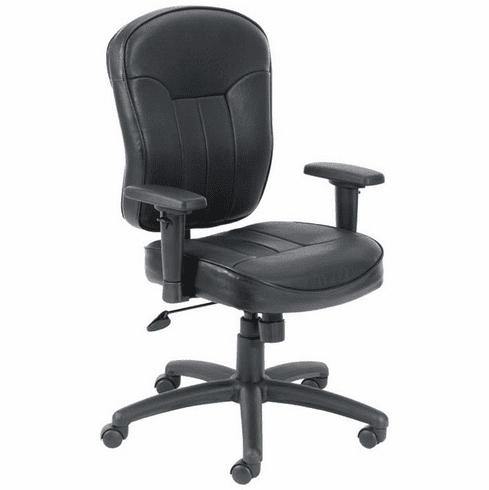 These boss chairs normally ship within 2-3 business days from our GA or CA warehouse.